Gift Certificates are now available! Call or text me at 512.576.1050 for more details. 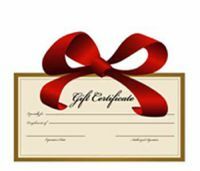 Gift Certificates are available for any service, package, or amount. Certificates are fully transferable but not refundable. Please contact me at 512.576.1050 for additional information. Every massage is customized for you based on your individual needs.Â Below is a sample of some of the massage modalities that I offer to help you achieve your healthcare goals.Â Help me, help you, design a healthcare plan for your mind, body and spirit! Please note: Massage is contraindicated (it's best to avoid it) if you have a fever, infections, inflammation, are prone to blood clots or other medical conditions. Contact me so we can talk about rescheduling and/or making modifications to your massage session. Outcall Services - Outcall services are offered within 10-30 mile radius with a $25 - $40 travel fee. Please contact me for more detailed info. Oncology clients going through treatment - if you cannot drive to my studio for a session, please contact me so I can help you. Payment is due at time of service and will be accepted in cash or check (made payable to Two Roads Massage Therapy). Please inquire if credit card payment will be accepted at the time of your service. With credit card payments, I will need to add a service charge for fees that the credit card company charges me. A cancellation notice of 24 hours is required to avoid being charged for the missed appointment. The full fee (or a minimum of $35) will be charged for (1) lateness that may result in the appointment starting and ending at the originally scheduled time, and/or (2) for missed appointments. It is true that cancer and cancer treatment limit the massage choices. But within those limits, there are many rich and creative possibilities for touch. ~ Tracy Walton, M.S., L.M.T. According to the American Cancer Society, massage is "thought almost universally to be a beneficial therapy. It is helpful not only physically but emotionally as well, because it soothes the soul and the mind." Massage cannot cure cancer, but it has been shown in several studies to improve quality of life and well-being. There is some scientific evidence that massage enhances the immune system by increasing blood circulation. In addition, massage has been shown to promote relaxation and alleviate pain and anxiety in hospitalized cancer patients. And even after years of survivorship, there are adjustments to be made in a massage session if lymph nodes were removed or treated with radiation, or if bone metastases are present. For people who have had even one lymph node compromised, precautions for possible lymphedema will be used. What is oncology massage? Many people ask me this. It is a modified form of massage therapy that safely nurtures the body, mind and spirit of anyone who is dealing with cancer or who has had a history of it. It is best to have a massage therapist who is specially trained in this modality for your massage session. This comfort-oriented massage is customized with a variety of specialized techniques that will meet the needs of individuals who are living with cancer. It is gentle work that supports, nourishes and strengthens the organs and the immune system in order to safely address the symptoms and side effects associated with cancer and its treatment (such as pain, fatigue, and anxiety). From the Society for Oncology Massage website (s4om.org): "An oncology massage is a client-specific, customized massage session designed to meet the unique and changing needs of someone in treatment for cancer or with a history of cancer treatment. A safe massage plan generally revolves around the side effects (short, long and late term) of chemotherapy, radiation and surgery." A trained oncology massage therapist knows how to make adjustments to each massage session that is appropriate for each person. Adjustments in pressure, site, positioning, session length, areas of concern (such as mediports, bone metastases, neuropathy or skin reactions), and types of oils/lotions used are some of the modifications that I would pay attention to. Again, this gentle-touch massage is a specialized approach to help you manage the short and long term side effects of treatment such as fatigue, pain, nausea and depression. Massage can be given before, during and after chemo, radiation and surgery, with doctor approval. Results of an oncology massage session can be reduced pain, improved sleep, restored range of motion and release of scar adhesions, decreased numbness in hands and feet, improved mood and renewed energy. For those who are post-treatment, a customized oncology massage can be beneficial as well. Many of my clients continue with me when they are now in "survivorship." I can also offer you a safe and effective oncology massage session in this part of your cancer journey. Feel free to contact me for more details. Please note that specific precautions and adjustments to your massage session will be taken in accordance with your health needs. Massage will never be performed on bruises, areas of tissue damage, inflamed or infected sites. Again, precautions will be taken if you have any circulatory issues, such as phlebitis or varicose veins. If you are at risk for blood clots or lymphedema or have had a history of either one, I will need special approval from your physician. For people currently going through conventional treatment, such as surgery, chemotherapy and radiotherapy (and/or within a one-year window of completion of treatment), acknowledgement/special instructions from your oncologist is required prior to booking an oncology massage. Please contact me at 512.576.1050 for a three-page "release form letter" that I will send to you. You, the client, need to sign page 3 of the letter first and then all three pages are sent to the doctor for his review, release and notation of any special instructions that I need to know so that I may give you a safe and effective massage session. First visit for a new client is a 75-minute session, which includes a consultation and review of your intake form. Price is $95. Follow up visits can either be 30 minutes ($50), 60 minutes ($90), 75 minutes ($100) or 90 minutes ($115). Special discounted pricing for clients after you book five 60-minute oncology massage sessions within a one-year window. Unfortunately, at the present time, insurance does not cover massage therapy services. I can offer you a receipt for you to submit to your insurance company for reimbursement. I would suggest one or two MLD sessions before surgery - anywhere from 2-7 days prior to the scheduled surgical procedure. Your doctor should be aware of your request and give his acknowledgment of it. This gentle "stretch and release" type of bodywork helps to drain toxins and free radicals from the tissues, creating healthier tissue, all of which helps when you go into surgery. This results in reduced bruising, swelling and overall discomfort. I would suggest two or three MLD sessions starting approximately seven days after surgery, and with doctor clearance. It is important to have your doctor "clear" you for the MLD work. The tissue will feel much more relaxed, and you will feel less discomfort after your sessions. The MLD sessions will help speed up the recovery time, improve your skin’s elasticity and reduce routine swelling. I am a certified lymphedema therapist (CLT) who has completed the 135-hour certification training program (teaching the Foeldi method of the Vodder Technique) for Complete Decongestive Therapy (CDT), which is the gold standard for the treatment of lymphedema. CDT is a combination of Manual Lymphatic Drainage (MLD), bandaging/wrapping of the affected areas, skin and nail care, exercise and patient education (self care). MLD is a gentle, non-invasive bodywork technique that stimulates the flow of lymph fluid. It is often used pre-and-post cosmetic surgery and as a way to assist with lymphedema. MLD has been shown to be very effective as being part of a treatment plan to help people manage their lymphedema. In addition, MLD is very effective for many concerns including faster recovery from injury, reduction of swelling and discomfort from surgery, radiation therapy, and assists to effect strengthened resistance to illness. 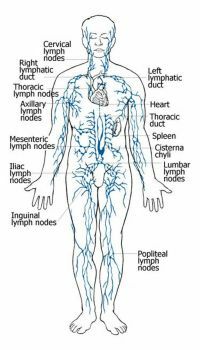 What is the lymphatic system and how does it affect us? The lymphatic system is part of the body’s circulatory system and a vital part of the immune system. The lymphatic system runs parallel with the veins and removes cellular waste, bacteria, proteins and excess water from the tissues. When it becomes blocked, lymph nodes may become swollen. Your system fails to remove the body’s toxins and this can even affect white blood cell counts. Lymphatic drainage is believed to reduce blockage, which promotes health in the lymphatic system as well as in other bodily systems such as the circulatory, respiratory, muscular and endocrine systems. By stimulating congested areas in the lymphatic system, it can cleanse the body of waste products and debris at the cellular level. The technique used in this massage helps to recirculate body fluids, stimulate the immune system and promote relaxation. As both a preventative and remedial technique, manual lymph drainage can be used for a wide range of purposes including faster recovery from injury and reduction of swelling, discomfort, bruising from surgeries. It can be used to improve scar tissue as well. It can also relieve fluid congestion, swollen ankles, puffy eyes, as well as to promote the healing of wounds and burns. It is excellent for relief of migraine headaches, sinusitis, tinnitus, chronic inflammation, rheumatoid arthritis and conditions such as acne, eczema, and allergies. MLD is very effective for people with chronic fatigue syndrome, irritable bowel syndrome, lupus, fibromyalgia, alopecia (hair loss) and many other health conditions. It is also a good technique to use with elderly people because of its profound efficacy in promoting tissue regeneration and stimulating effect on the immune system. And it is gentle! Precautions: MLD is contraindicated for those people who have congestive heart failure, deep vein thrombosis, open wounds, fever or active skin infection. If you have any heart or kidney disease, please check first with your medical doctor before booking this service. After your session, it's possible to feel light-headed so you may wish to rest for an hour or so. You may experience more energy in the days following the massage (this is good!). Remember to drink lots of water after your massage. Learn more about the lymphatic system by clicking the link below. For people living with cancer, lymphedema is a major concern. Even if you have had one lymph node compromised from radiation or surgery, you are at risk for lymphedema. What is lymphedema? Lymphedema is an accumulation of fluid that can collect in any body part, but most typically in arms or legs. It usually occurs when the lymph vessels or lymph nodes are blocked or removed. Left untreated, this stagnant, protein-rich fluid not only causes tissue channels to increase in size and number, but also reduces oxygen availability in the transport system, interferes with wound healing, and provides a culture medium for bacteria that can result in lymphangitis (infection). MLD has been shown to be very effective as being part of a treatment plan to help people manage their lymphedema. Special discounted pricing for clients after you book five 60-minute lymphatic sessions within a one-year window. Ask for a 30 minute foot reflex session ($30) to be included during your massage session! Reflexology is a type of bodywork that focuses on applying pressure to the specific nerve zones in your feet. It is a 5,000 year old Chinese and Egyptian technique in which the pressure points representing the various organs in certain parts of the body, particularly the feet, are massaged to alleviate pain or other symptoms, such as congestion, inflammation or tension. Reflexology enhances blood flow to the overall benefit of the whole body and initiates a soothing effect to bring muscular and nervous relief. Reflexology treatments have been found to be highly effective for conditions such as allergies, headaches, and depression. Our feet have reflex points on them that correspond to specific organs, glands and other parts of our body. A foot reflexology session can promote relaxation, improve circulation and blood flow, reduce pain, soothe tired feet and encourage overall healing. have had recent surgery of a malignant tumor. In addition, if you have osteoarthritis affecting the ankle or foot or severe circulation problems in the legs or feet, please contact your medical doctor first before starting reflexology. 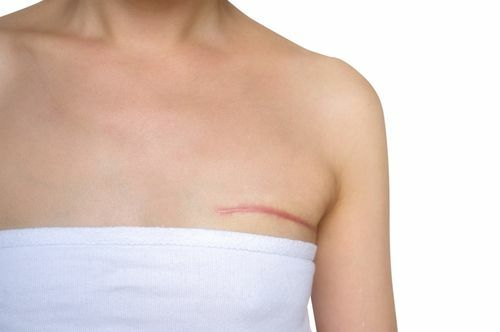 For those who have gone through cancer and cancer treatment (with side effects such as axillary web syndrome-also known as cording) or any type of surgery, I can help you with my advanced medical massage trainings and education. Gentle release & manual therapies, cross fiber friction, and soft-tissue mobilization are just a few of the techniques that help with adhesions and fibrotic changes in scar tissue. It is important to break up these adhesions, which will allow the tissues to move more freely. Benefits from "Geri's integrative blend of strokes, pressure and techniques" may include relief from aches and pains, decreased stress levels and greater flexibility. Sessions are customized to fit your needs. This type of massage supports and energizes the body, mind and spirit. Don't get fooled by the name of this massage! This massage is designed and customized just for you. With Geri's expertise, education and experience, she will use a combination of strokes, pressure and techniques to address your particular health needs and goals for the session. The massage session may include medium to firmer/deeper pressure that will help with pain relief as well as a lighter touch that can help soothe the nervous system. It might also include firm Swedish strokes that will help stimulate the lymphatic system, which will carry away the body’s waste products. The variety of of strokes along with different levels of pressure all help the body improve its circulation. This increased blood flow provides nourishment to the muscle cells and it can also have a sedative affect on your muscles causing them to relax and elongate. For people who are over age 70 years old and have specific health conditions, please read the geriatric/eldercare massage info below. That type of massage might be better suited for you. A 90-minute therapeutic massage is $100. I am a certified Day-Break Geriatric massage therapist and have received training in Eldercare massage from Ann Caitlin's Compassionate Touch. Geriatric massage is a form of massage designed to meet the specific needs of the elderly. The word “geriatric” refers to health impairments that are associated with the later years of life, usually age 70 and older. However, there are some robust 70 year olds and there are some fragile 70 year olds. This type of massage takes age-related health conditions into account. Eldercare massage can offer senior citizens a number of benefits on multiple levels. Seniors often suffer from a variety of age-related diseases such as Arthritis, Diabetes, Parkinson’s disease, or heart disease. As a result, they may have limited physical activity and/or poor blood circulation. This specific massage has proven to improve circulation of both blood and lymph, stimulate the nervous system, soften tight muscles and relieve pain, as well as enhance function of the digestive and respiratory processes. Administering touch to the elderly can also increase one's appetite, decrease the need for pain medications, calm agitated states, promote restful sleep, and decrease post-surgical recovery. It can help maintain and improve one's overall health, as well as regain certain physical functions that have been reduced due to aging. Not only are there physical benefits, but there are mental and emotional ones too: this type of massage can also help alleviate symptoms of loneliness or depression. Massage sessions range from 20 minutes to 1 hour, depending upon what the client or families desire to focus on. Typically, a massage runs about 45 minutes; upon request, the time allotment and pricing can be adjusted accordingly. A 20 minute treatment is usually for relaxation and would benefit someone who has minimal pain and some stiffness. A 30 minute massage focuses on a few different areas of pain and stiffness, also helping with increased circulation. And the client can be fully clothed, if that is her preference. It is important that a complete list of medications are included in the health history form. Please check with your doctor first to make sure that you can receive this gentle type of massage. Testimonial from one of my eldercare clients: "This massage is so soothing. It feels so good. I can't wait to see you next time!" As stated in an article ("Hospitals Starting to Recognize the Value of Massage Therapy") written by Kathryn Feather, Senior Associate Editor, Massage Today in May 2006, "Hospitals across the United States are beginning to embrace massage therapy as a viable and important component of patient care. Patients are requesting additional treatment options and hospitals are beginning to realize the benefits of not simply treating the condition or disease a patient has been diagnosed with, but also treating the person behind the disease. With studies being conducted that suggest the effectiveness of massage in helping cancer patients and others facing debilitating illness, hospitals are beginning to add therapists to their staff." Research is supporting the view that the gentle, nurturing touch of massage therapy can help to reduce pain and anxiety in hospital patients by helping to create a state of relaxation that calms the mind and body, promoting and supporting healing. I have been fortunate to have received excellent hospital massage training programs throughout various parts of the country. (3) In April 2012, I attended a two-day hospital massage conference at Mt. Sinai School of Medicine/Hertzberg Palliative Care Institute in New York City, New York. The subject of the conference was "Hospital-Based Massage Therapy for Seriously Ill Patients." Twenty-three massage therapists from all over the country attended this informative presentation. All training programs gave me an excellent, as well as an extensive education for providing safe and effective massage therapy in the clinical setting. Adjustments and modifications are made for each patient according to his/her own specific health needs. Doctor approval and authorization are necessary before a massage session can begin. My training also showed me that communication (both written and verbal) with the medical staff is important and necessary. I have come to understand how surgery, treatment, hospital life and other factors can contribute to physiological challenges that require me, as a massage therapist, to work differently. And, that is where my hospital training is demonstrated as I work with patients in a clinical setting. For anyone receiving palliative care or Hospice, I also offers visits in the comfort of your home, in clinical settings, and in assisted living facilities. Please contact me at 512.576.1050 if you would be interested in having me work with you or family members in any one of these settings. Please note that a traveling expense (depending upon mileage) will also be added onto each hospital session. Our hands and feet have bones, joints, muscles, tendons, ligaments and thousands of nerve endings. When our feet hurt... or our hands ache...it can be quite painful. Hand and foot massage dates from ancient times. A painting in an Egyptian physician's tomb from 2330 B.C shows hand and foot massage. Hand massage may provide pain relief and reduce stress. A study conducted at Shizuoka Cancer Center Hospital in Japan and published in 2009 found that brief hand massage appeared to reduce stress in patients with advanced cancer. There are a number of benefits to be gained from hand massage. Not only does a hand massage help to improve circulation and relieve tension in the tendons, it also helps to increase the level of flexibility in the hands, fingers, and wrists. This can help reduce the feeling of stiffness that can build up in the hands, which make movements feel uncomfortable. A hand massage, since it uses lotions or oils, is also a great way to rejuvenate the skin. Massage helps restore movement and vitality to your feet. Muscles in the foot allow the foot to bend, stretch and move, in addition to supporting the body to maintain balance. Because the feet are responsible for supporting the rest of the body, too, it is only natural that they become tired, sore and sometimes painful. A foot massage stimulates blood circulation throughout the body. This is beneficial to reduce aches and pains that we experience from our day-to-day routine. There are over 7000 nerves (brain signal carriers) in our feet and all of these nerves are connected to different organs of the body such as the lungs, the heart, eyes and the head. These nerves pass through the vital organs. A proper massage of the feet stimulates these nerves, which in turn helps to improve the functionality of different organs. Stimulation of nerves boosts blood circulation and can speed up recovery of wide range of health issues. Benefits of this kind of massage are not restricted to healing physical ailments. Even to get relief from day-to-day stress and anxiety is possible with foot massage done on a regular basis. A hand or foot massage can help people who experience peripheral or chemo-induced neuropathy (ex: numbness, tingling, burning, etc.). Many oncology clients seek this type of treatment on a weekly or bi-weekly basis and find that their pain levels decrease. A 60 minute session is $65. Multiple Session Discount. Buy a package of three 60-minute Hand or Foot massage sessions for $180. Regularly $195. A $15 discount!